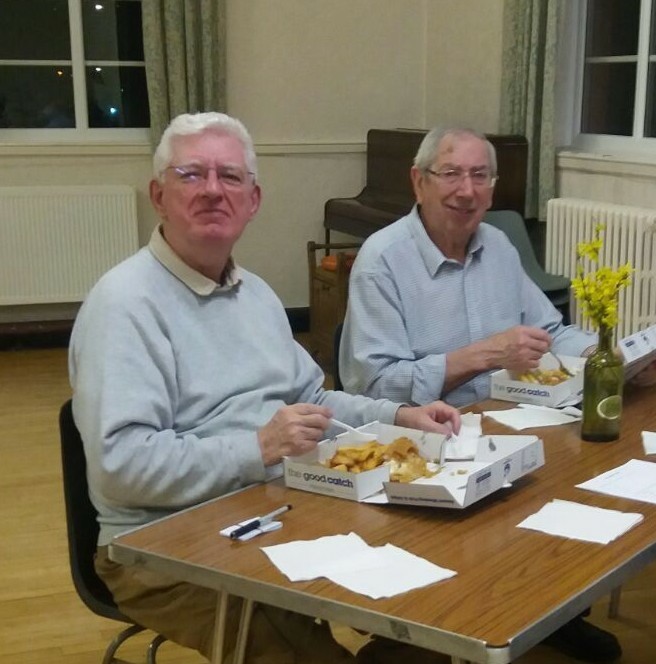 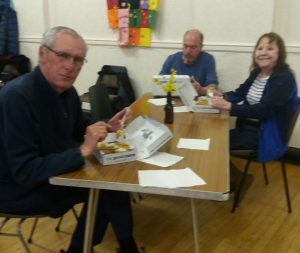 Davyhulme Camera Club members at the club last Wednesday evening seen here dining on extremely good fare from over the counter at the ever popular Brook Rd Chippy. 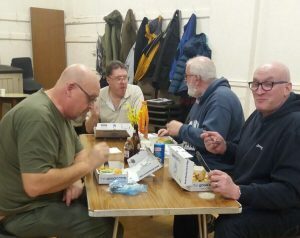 Yes folks we had a ‘chippy supper’ followed by some fun events to round off the evening and yes, we are a friendly and relaxed club indeed. 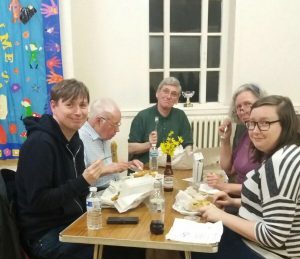 Tho’ it’s a competition night next week? !